Founded April 1966, Heritage House is a provider of short and long-term healthcare, therapy and rehabilitation services. Over 40 years ago, Bob Reed began his search for the perfect retirement home for his 96-year-old grandmother, Rilla Ward. He wanted to find a safe and modern place with great food, caring employees, and plenty to do. When he realized he couldn’t find these necessary qualities in any local home, he knew the only way to guarantee the best for his beloved grandmother was to build one himself. On May 2, 1966, Bob Reed completed Heritage House, a modern rehabilitation and care center in Shelbyville, Indiana. Grandma Ward was its first resident. 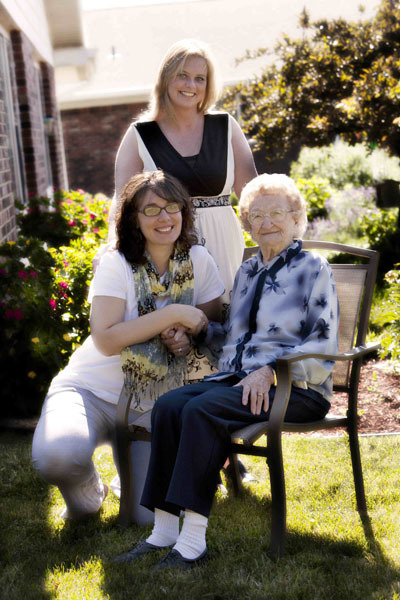 Today, each of the four Heritage House locations still provides a warm, close-knit atmosphere for its residents. Our signature family feel is owed to five generations of Reed family involvement and a seasoned staff. Treating our residents like family is one way we keep Bob’s vision alive during all of our day-to-day procedures.